When it comes to satisfying a food craving, Robert Pattinson is just like the rest of us. Like many celebrities, Pattinson lives on a tight schedule from movie sets, to TV show appearances, to walks on the red carpet, but in between all of his responsibilities the man has to find time to grab a bite to eat. 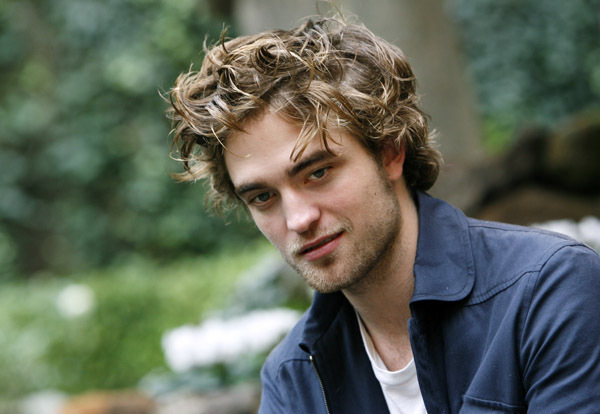 The actor, who is reportedly dating his “Twilight” co-star Kristen Stewart, has to make sure that his body is well fed, fueled and ready to perform. According to a Vancouver restaurant manager Jan Wichmann, the British stud usually dined at the eatery during the filming of “New Moon” alongside the other cast members. Like most people, Rob also enjoys a nice time to unwind after a hard day’s work. "They have visited us about four times and Robert really loves our Global cocktail," Jan says. The after work cocktail is a mixture of Martini, Vodka, Alize and fruit juices, revealed the restaurateur. "He had several of them the last time he was here and he left in a very good mood," Jan continued to reveal. Along with his cocktail Robert also indulged in the restaurant’s special spaghetti dish, which is made with Kobe beef meatballs and reportedly ordered the dish each time he dined there. Despite of staying in tiptop shape for his role as Edward Cullen, the actor also treats himself to one of life’s guilty pleasures—fast food. Since his lifestyle has completely changed in the past four years, his eating habits have also changed drastically. “In Los Angeles I started using a delivery service which only delivers fresh and healthy food. Even in the morning I have a bag with healthy food delivered to me. I’ve never in my life lived as healthy as I do now,” he said. The couple is also known to visit several restaurants, including Chinese food restaurant Hong Kong Express, during the filming of movies. They have also been spotted out on New Year’s Eve enjoying a meal with their closest friends and getting a taste of life’s simple pleasures.